UPDATED: Sat., Aug. 26, 2017, 1:46 p.m.
NYSSA, Ore. (AP) – The Idaho-Oregon onion industry’s rebuilding efforts following the heavy damage to storage and packing facilities caused by this year’s harsh winter are in full swing and going well. But with the main onion harvest set to begin about mid-September, some onion growers and shippers say they won’t be ready in time. “There are definitely people who are delayed,” said Shay Myers, general manager of Owyhee Produce, an onion grower-shipper company in Nyssa, Oregon. About 60 onion storage sheds and packing facilities in the Treasure Valley of Idaho and Oregon either collapsed or sustained major damage under the weight of several feet of snow and ice. Owyhee Produce lost four storage sheds. Its packing facility was damaged but continued operating. Myers said his company was “fortunate” in that its buildings were some of the first to collapse so it got a relatively quick start on rebuilding. Because most of the 1 billion-plus pounds of Spanish bulb onions grown in the region are stored and marketed later in the year, it’s important for the storage sheds to be rebuilt in time to house this year’s harvest. Owyhee Produce will have its storage sheds rebuilt in time for harvest, but barely. “We will have them done just in time for harvest,” Myers said. Across the Snake River in Payette, Idaho, Partners Produce lost four buildings to the snow and ice, including its main onion packing line. Despite its best efforts and people working seven days a week, Partners’ lost storage capacity will not be replaced before this year’s harvest begins in earnest. Its new packing facility won’t be ready until about Thanksgiving. Partners’ packing facility in Ontario was not damaged and continues to operate. While some rebuilt storage sheds won’t be ready in time, industry leaders say onion yields could be down significantly this year, which means the lost storage capacity won’t be quite as important. 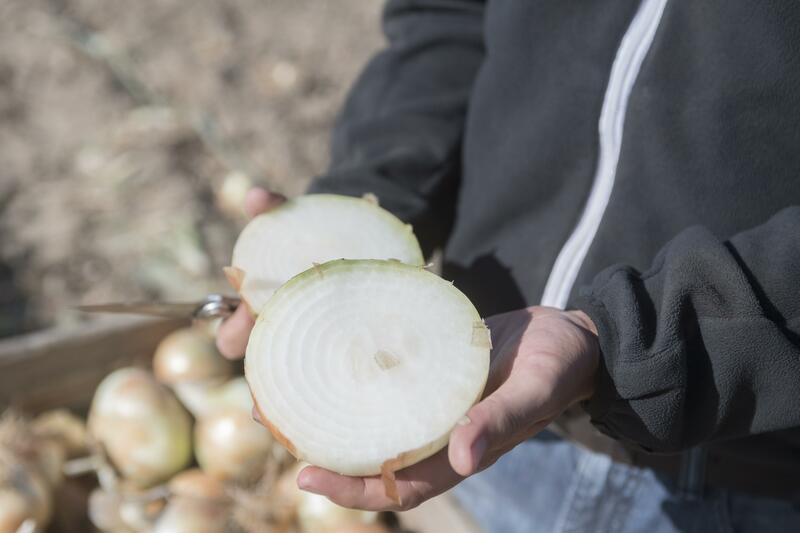 “With the yields we are going to have, it’s likely to be less of an issue than it could have been during a normal onion production year,” Myers said. Myers and Rodriguez said the industry will bounce back stronger in the long run because companies like theirs that have to rebuild are putting in state-of-the-art equipment and more automation. Published: Aug. 26, 2017, 10:22 a.m. Updated: Aug. 26, 2017, 1:46 p.m.